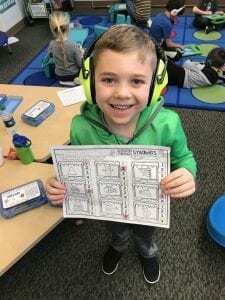 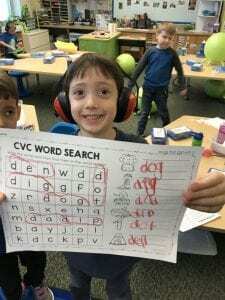 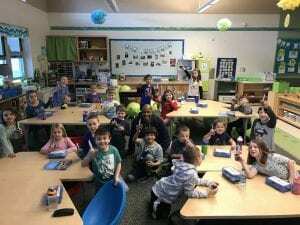 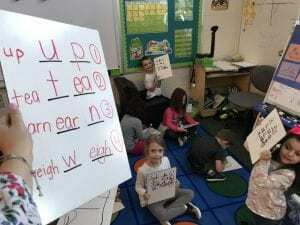 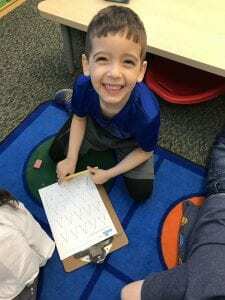 Popcorn Words – Our popcorn words this week were “were,” “there,” and “where.” We are becoming super readers, and we know TONS of popcorn words now! 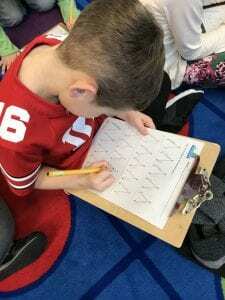 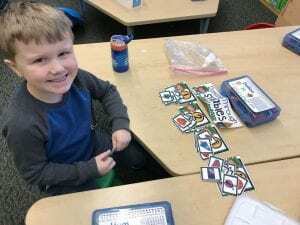 Math – This week, we continued to compare numbers (greater, less, or equal), write numbers 1-20, and learn about teen numbers. 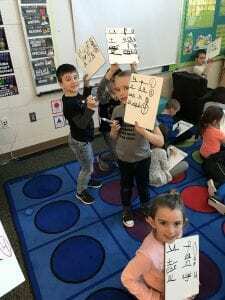 We are also practicing adding and subtracting more fluently (quickly!). 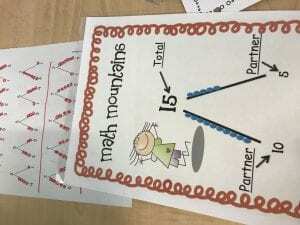 Plus, we learned about how to use math mountains to show addition or subtraction equations. 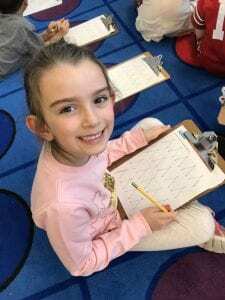 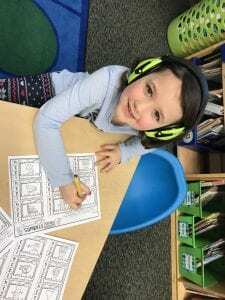 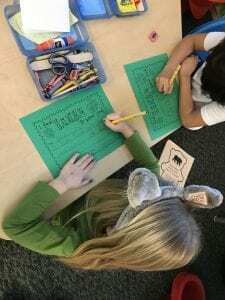 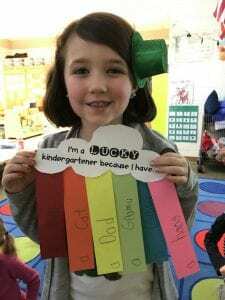 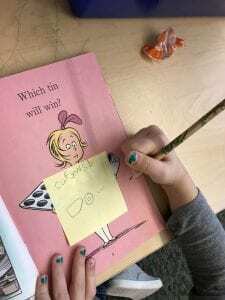 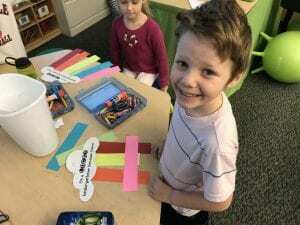 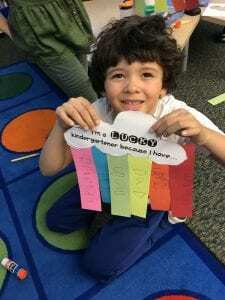 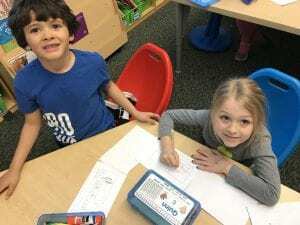 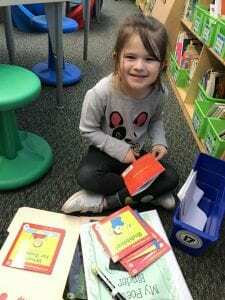 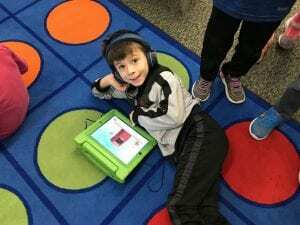 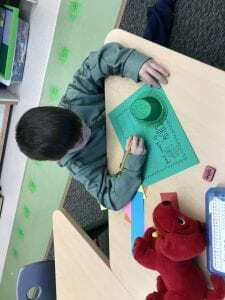 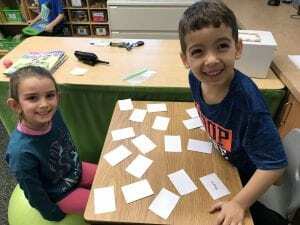 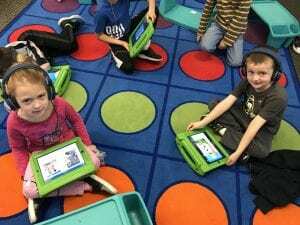 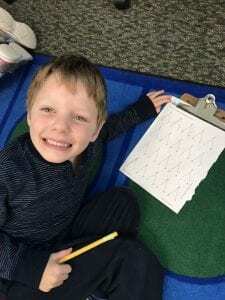 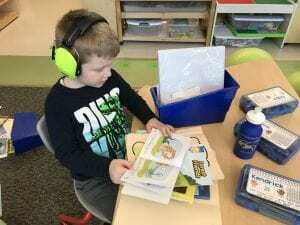 Writing – This week we started a new type of writing: “ALL ABOUT” books. 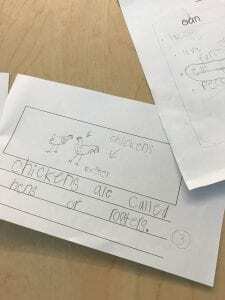 We began by learning the difference between fiction and nonfiction books. 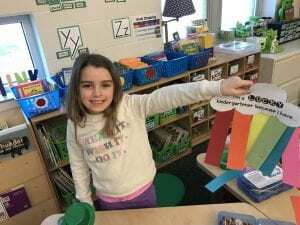 Nonfiction books tell us facts about something and help teach us things! 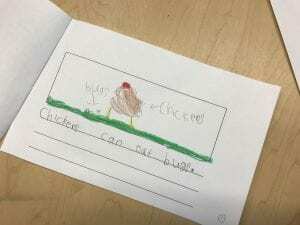 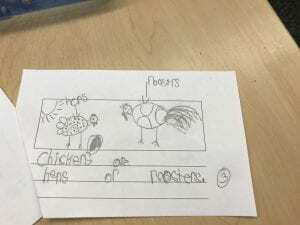 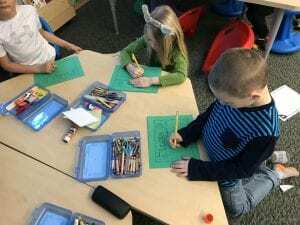 We spent the week researching CHICKENS, then we sorted our facts into things that chickens “can / have / are.” After that, we wrote our own nonfiction books with facts and realistic illustrations about chickens. 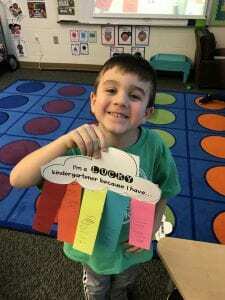 We can’t wait to learn about a new animal next week! 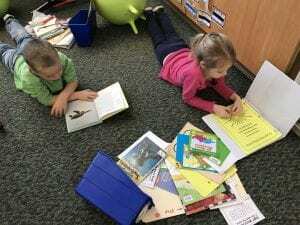 Reading – We began Unit 4 this week by learning what it means to be an AVID reader! 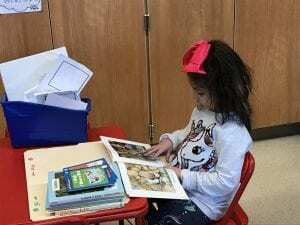 Avid readers….read a lot, find places everywhere to read, keep a stack of books they want to read, can’t stop reading, and really pay attention to their books! 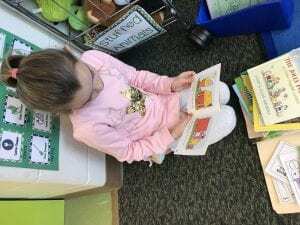 We also learned that avid readers think about the feelings of the characters they are reading about. 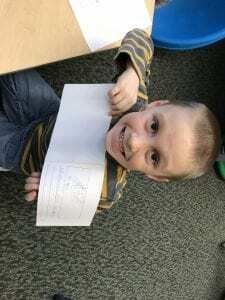 We took some time to write down and share the feelings of characters in our books. 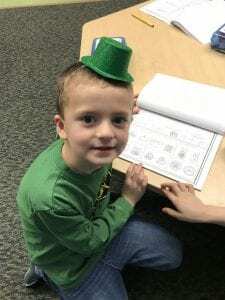 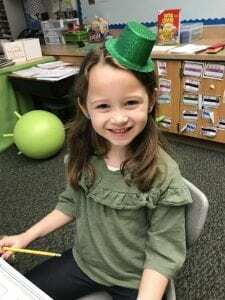 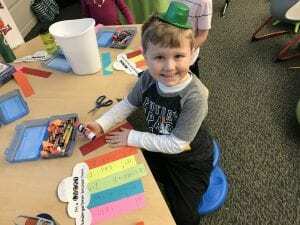 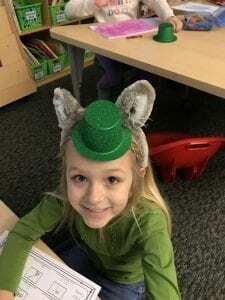 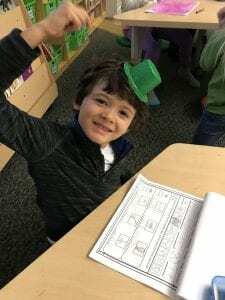 St. Patrick’s Day – We celebrated St. Patrick’s Day on Friday with a day full of good luck and fun activities! 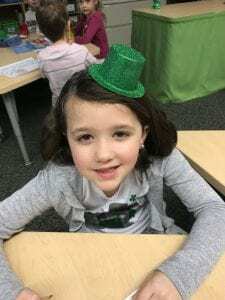 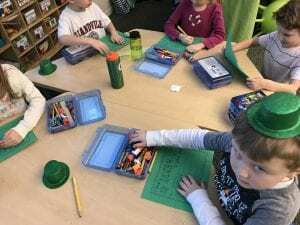 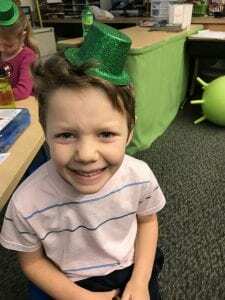 First, Miss Hutchison gave everyone a leprechaun hat to wear. 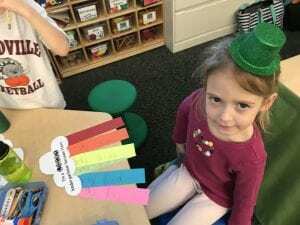 Then, we made a rainbow of things that we’re lucky to have! 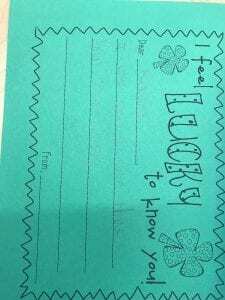 Next, we wrote kind notes to others in our classroom about why we’re lucky to be their friends. 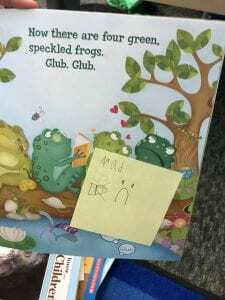 These notes were so heartwarming! 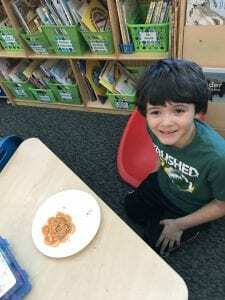 We also did some math graphing with Lucky Charms! 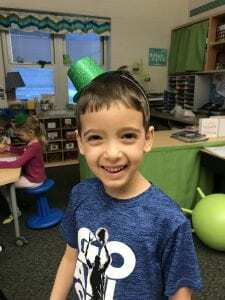 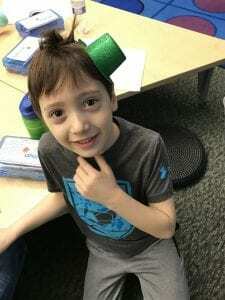 Top Frog – We loved having Liam as our Top Frog this week. 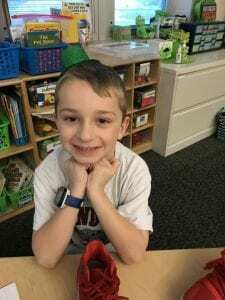 Jayce will be our new top frog next week. 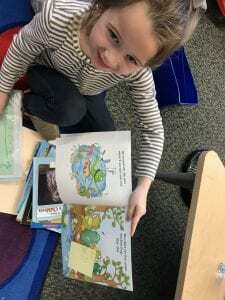 Mystery Reader – Elise was so excited to see her grandma walk through the door on Thursday! 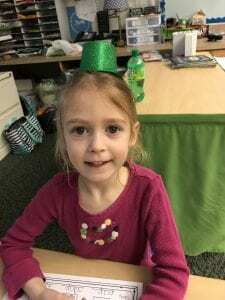 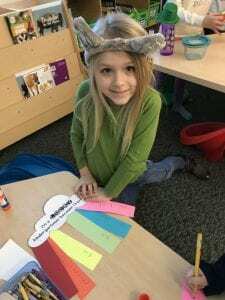 She read us two super cool books, and we got to design our own hats after reading a hat book. 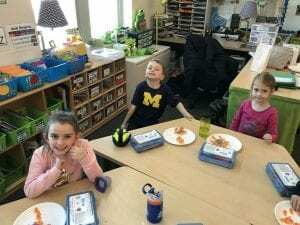 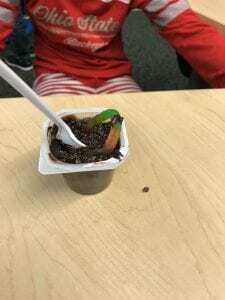 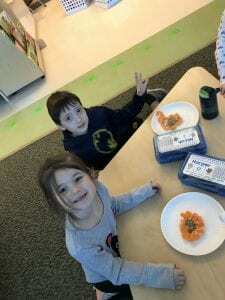 March is Reading Month Fun – Our class was so thrilled to have some special book-themed snacks during Reading Month! 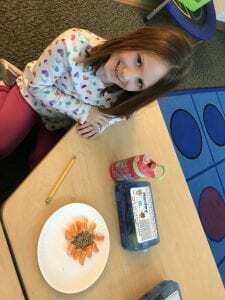 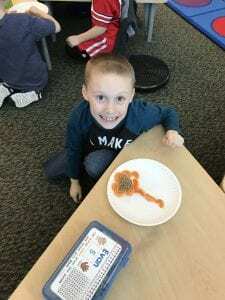 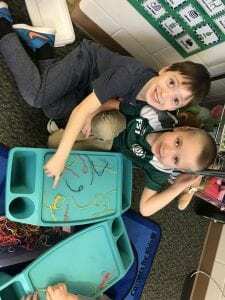 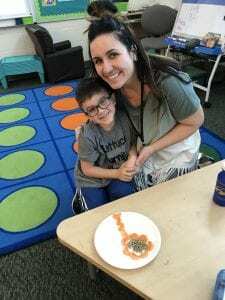 Colton’s mom brought us some clementines and sunflower seeds to help us make flowers from Eric Carle’s “The Tiny Seed.” Then, Christian’s dad brought us dirt cups with worms, just like “The Diary of a Worm” book! 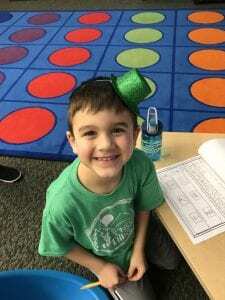 Thank you so much for making reading month fun for our kiddos! 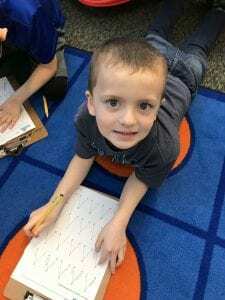 Summer Tutoring Option – If you are interested in signing up for a tutoring block this summer, please sign up on this spreadsheet. 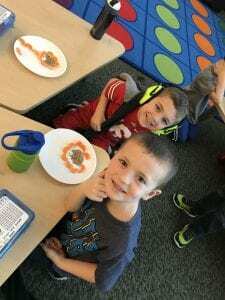 Two of my other days are already fully booked, so these Thursday slots will likely fill up quickly! 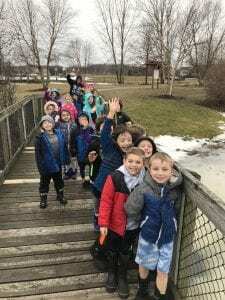 BONUS: We FINALLY made it outside this past week for a nice walk around our outdoor classroom and the middle school! 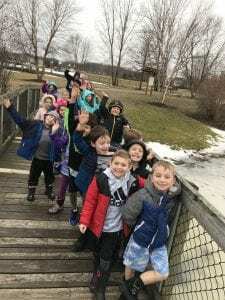 Hooray for warmer spring days on the horizon!